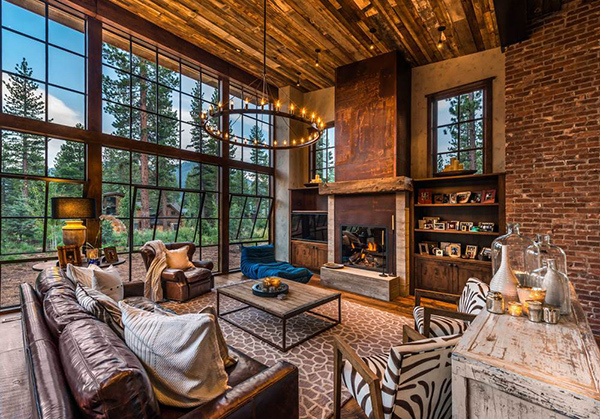 We have featured a rustic home before that looked very gorgeous and dramatic. It does look like a romantic getaway or a perfect place for elopement. Lol! But aside from the natural beauty brought in by the wooden materials, the interior looked pretty awesome with modern equipment and functions. This is also what we will see in the house that we will feature today which is another rustic beauty. 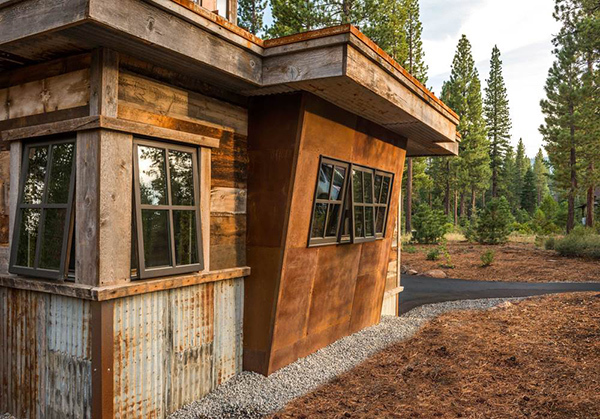 The house is called the Lifeguard Shack located in Martis Camp, a private community in Lake Tahoe, California. 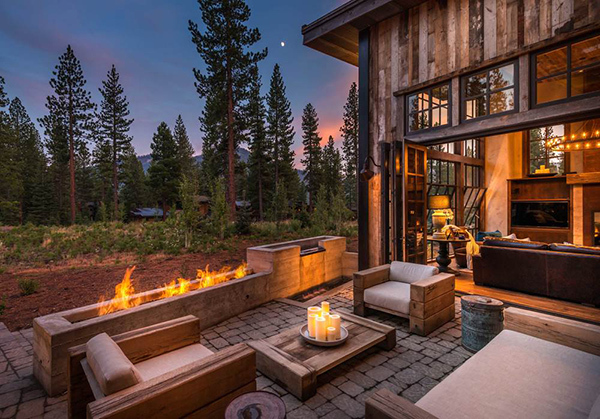 This mountain home is situated in a coniferous forest in the high Sierra that offers outmost privacy which is perfect for a family retreat and escape from the big city life. 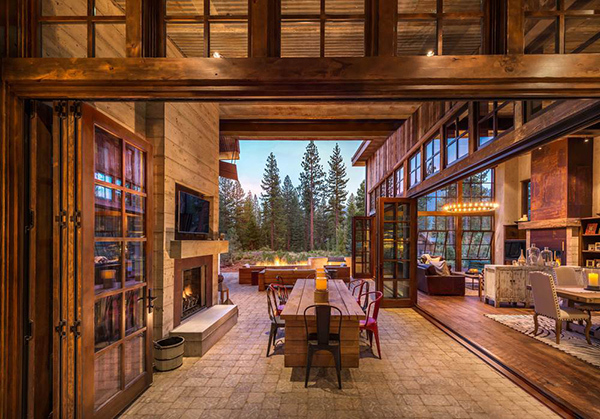 This 3,249 square feet home offers sumptuous indoor and outdoor living spaces with four bedrooms, four-and-a-half bathrooms. The house has two levels wherein the public spaces has soaring ceilings with hand scraped wood flooring and wooden ceilings. 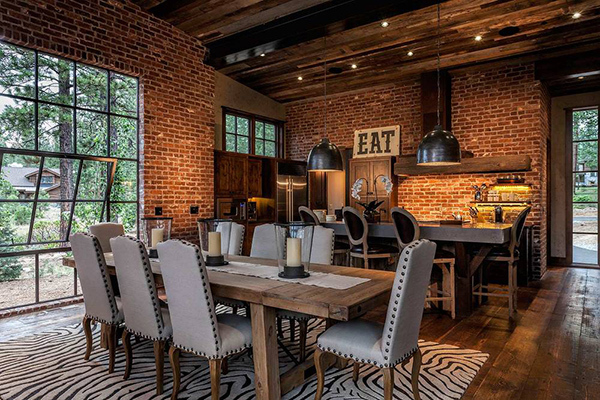 It used reclaimed wood, metal and brick for the interior and exterior of the house. Let us take a brief tour of the house below. 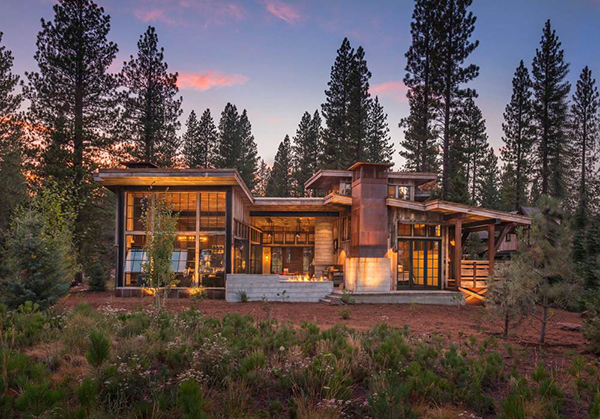 A rustic beauty stands in the middle of the trees where you can see a mix of materials and dramatic lighting. Seen here are French windows that are seen around the house. 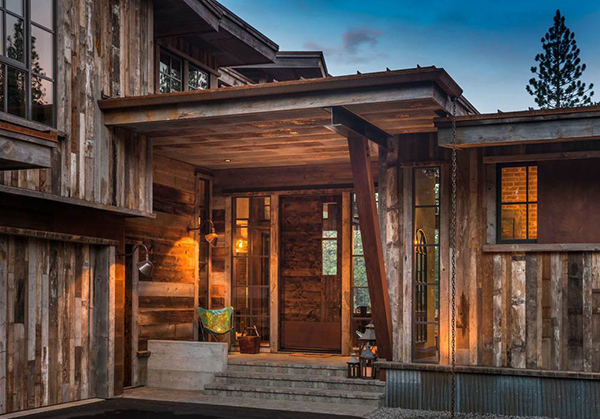 A rustic entrance welcomes guests to the home with lovely industrial lighting fixtures. 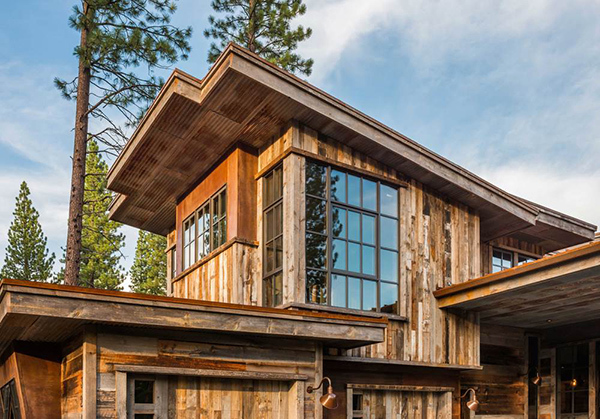 You can see an interesting mix of textures because of the materials used for the exterior. Even if the ceilings are high, the wood use for both the floor and ceiling adds warmth to the space. The use of beautiful area rugs for the living and dining areas delineate spaces in this open plan. I love the look of this dining and kitchen! In the living area, cozy seating arrangements make for great conversational spaces and good flow. 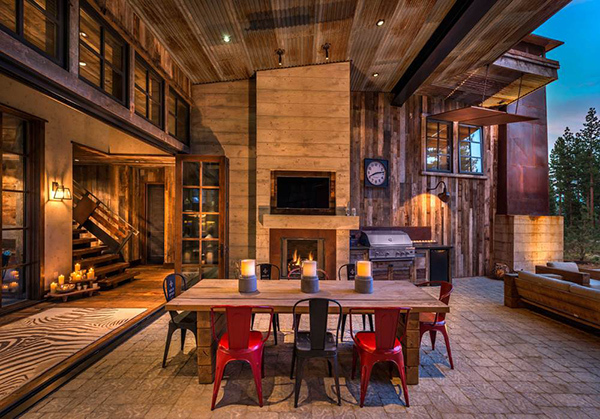 The focal point is the fireplace with the furnishings arranged around it. You can also see large expanses of glazing allowing views into the wooded landscape. 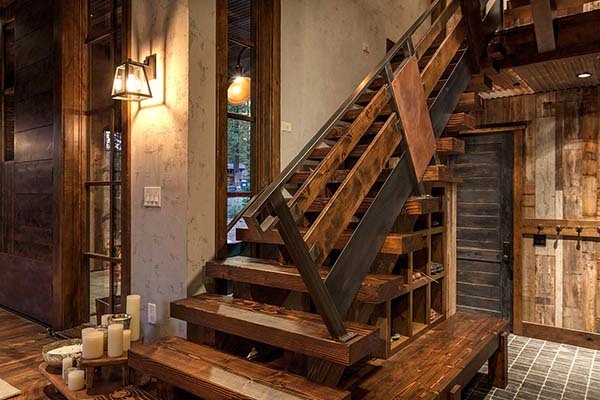 Reclaimed wood is used for the staircase that connect the two levels of the house. 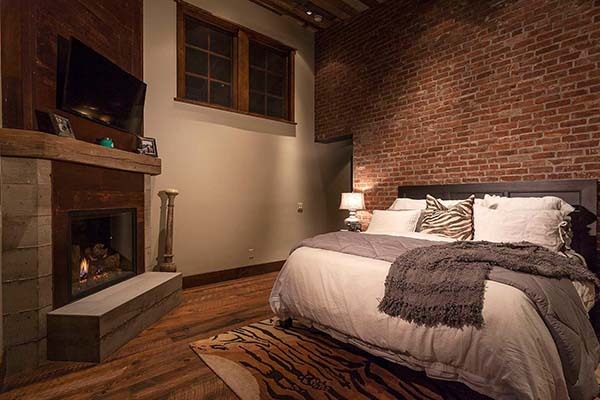 Seen here is a relaxing and lovely bedroom with brick walls. 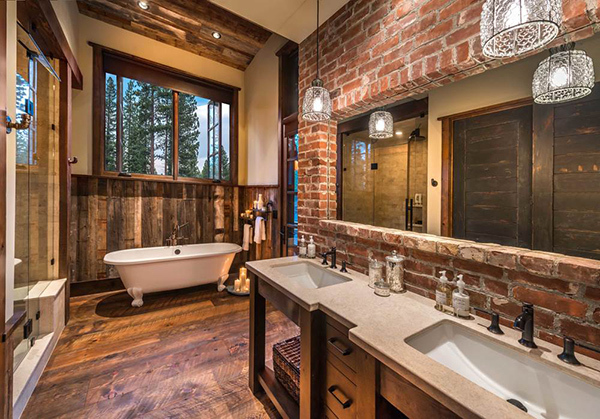 The bathroom looks beautiful too with the same rustic appeal. 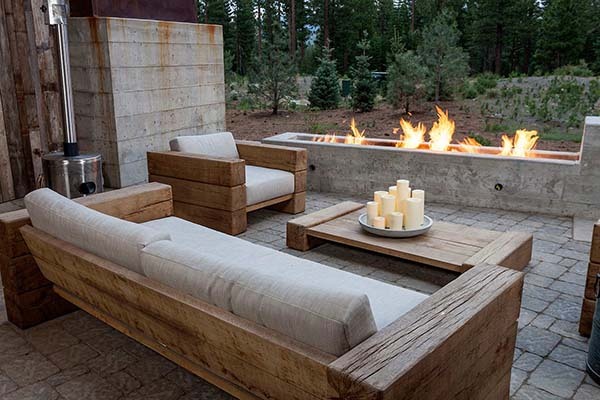 Outdoors, there is a fire pit and lounging area perfect for outdoor relaxation and fun. In the interior, you can see a dining area with different chairs that sits under a corrugated ceiling. The outdoor space of this home is indeed something we would all want in order to unwind and distress. Beautiful. This is indeed beautiful! I like how the house is seemingly threaded with the natural beauty around it. I commend the collaboration of Walton Architecture and Gallagher Construction who built this home with meticulous perfection. I know you can see that sense of perfection from the exterior to the interior of the house. 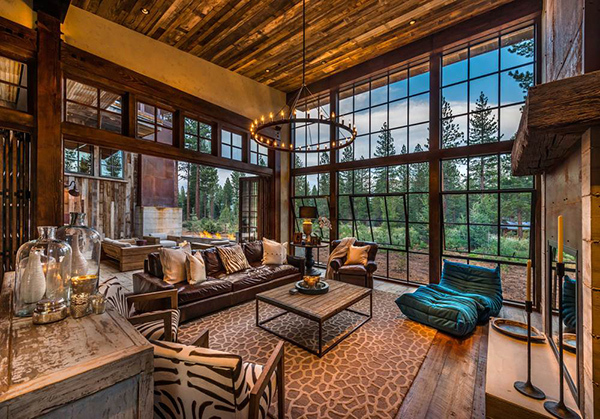 What do love most in rustic homes?